This drawing took longer than I thought it would… and I’m still not completely sure it’s done. But I’m posting it for Inktober anyway! 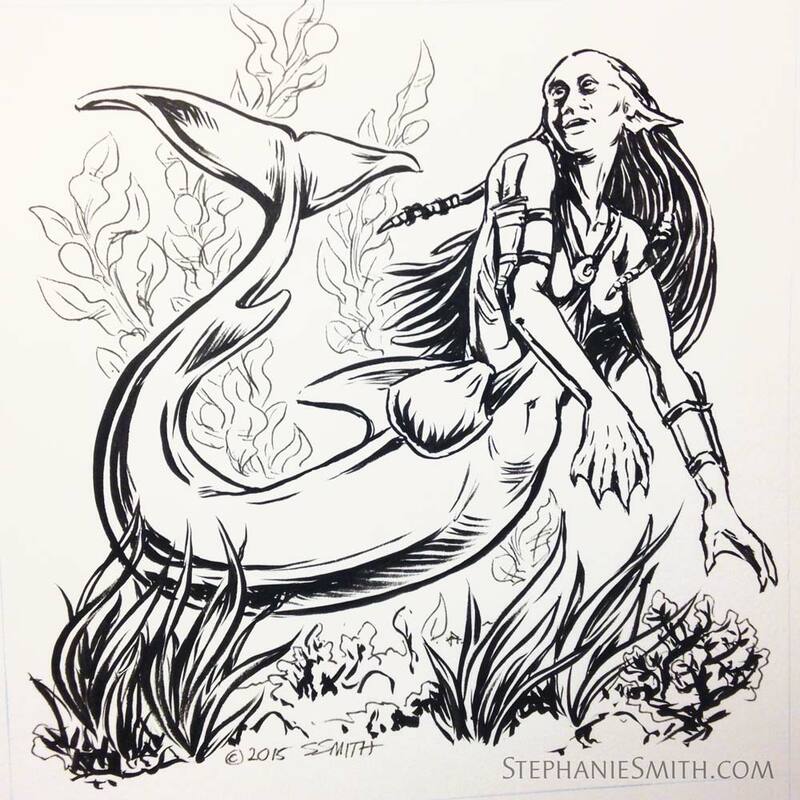 I’m having fun inking with the brush instead of the pens… although I used technical pens for the seaweed in the background. Drawn with Pentel Color Brush and Micron pens on Strathmore vellum surface bristol. 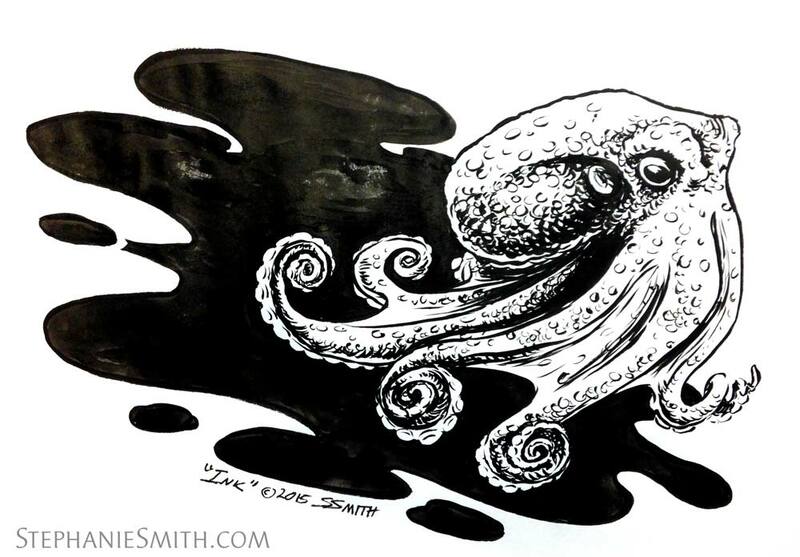 Drawn with the Pentel Color Brush (supplemented with some old fashioned regular ink) on Canson Marker paper. Scribbles and Scribings is the sketchblog of an illustrator/graphic designer doing the work-life juggling act. Here you will see quicker, more unfinished drawings, sketchbook pages, and musings on my creative life. To see my formal portfolio, please visit Stephanie Smith Illustration linked below. My RedBubble Gallery Gallery and shop – great quality cards and prints!